Elegant custom family home offers unparalleled craftsmanship and exceptional Family amenities! CHEVAL Polo & GOLF CLUB is a Prestigious, family activity oriented neighborhood. 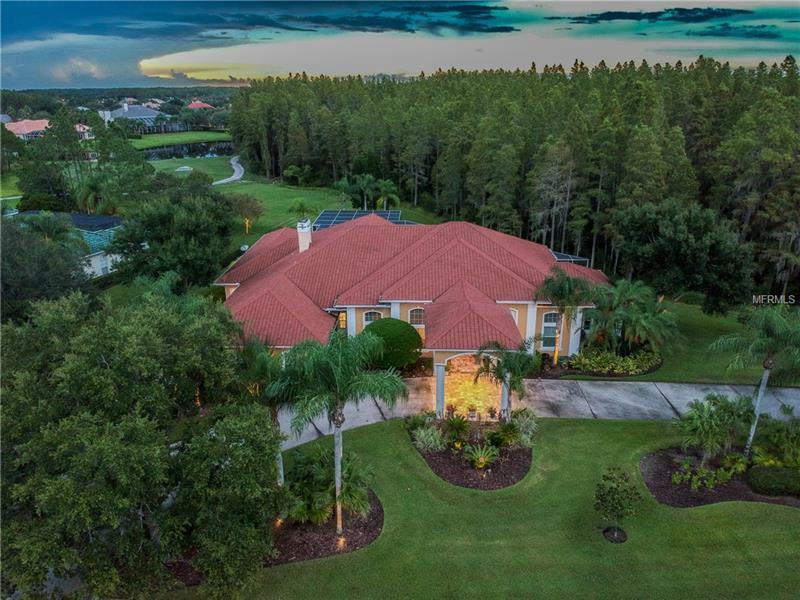 Located in the heart of Lutz just 20 minutes from Tampa international, Cheval has many programs from swimming, tennis, fitness training, youth programs, and a world-class golf course. Your new family home is open and fabulous with many rooms leading to the 3500 square foot outdoor pool, spa, entertaining area. With a flowing waterfall. Amazing outdoor kitchen, all new custom pavers, stonework, and landscaping just completed. For our four-legged family members, there is a Private dog park inside the screened enclosure. Family cooking will be a joy in this oversized kitchen with stone counters, wood cabinets. All windows insulated and new 3 zoned air conditioning and Gas appliances are just a few of the many more elegant features Please schedule your private showing to see this amazing Entertaining Family Home.